When it comes to getting ready to jump into bed I've found myself getting into a little routine of using five different products. They've all seemed to have found a place on my desk (which is right beside my bed) and I've been really enjoying them and actually feel strange if I don't do this quick little mini pamper before snuggling under my covers and falling asleep. I've started using foot creams recently to pamper my feet because I really do just totally ignore them when it comes to a pamper evening. I've really been loving this Primark own brand Peppermint Softening Foot Cream. I apply this to my feet and then put on a pair of fluffy socks so I don't get it all over my bed clothes. Personally I can't sleep with socks on unless I'm really cold but when I go to bed I spend at least 30 minutes on my phone giving the cream plenty of time to work it's magic. It really does leave your feet feeling softer and helps moisturise any tough skin you may have. As this is a Peppermint cream it leaves the skin feeling tingly and almost as if it's breathing which is so refreshing and for only €2.00 I really need to stock up on more! I have also been trying out the Soap and Glory Heal Genius but I keep going back to the Primark one. I've also been loving hand cream lately and more precisely the Zoella Wonder Hand. This has the same scent from Zoe's original range which is my favourite as it's just a real relaxing one. My hands have been really dry lately and so it's nice to have a hand cream at hand you can just use whenever you like. I'm really fussy when it comes to hand creams and don't like any that are too oily or sticky or leave a residue. This is perfect as it soaks in to your skin really quickly without leaving any horrible feeling. This really moisturises my hands and leaves them feeling so pampered I just love it. Plus look at how pretty the bottle is, and the box it came in is just as cute! Even though I'm not exactly quite fond of the Nip and Fab Dragons Blood Cleansing Pads (read my review here) I'm continuing to use them, just to finish them really. Although I haven't seen any difference to my skin with these they really do leave your skin feeling lovely and fresh that it's just nice to quickly swipe over your face before bed. I won't say too much about them as I only recently did a review and you can find all my thoughts about them on it. Before getting into bed I like to spritz a body spray onto myself and recently I've been loving the Ted Baker Mini Mint Bodyspray. I've been spraying this so much I think I've gotten so used to it that five minutes after spraying it I can no longer smell it. However it's a lovely fresh mint smell without being over powering. It's sweet and almost reminds me of a Summer scent. I love the little mini size as it takes up no room on my desk and costs less than €3.00. Finally I've become re-obsessed with the Anatomicals Cruising For A Snoozing Sleep Balm. This is just basically a lavender scented balm that you rub onto your temples and pulse points when you're ready to go to bed. The smell of the lavender just helps you to relax and fall asleep easily. I adore using this and even use it sometimes when I'm sitting at my iMac and just want to feel relaxed. I adore the scent of lavender and this is just amazing. I'm not sure it actually helps me fall asleep but it definitely does make me feel more relaxed and calm when I use it. Have you any little rituals you do before bed? The Anatomicals Cruising For A Snoozing Sleep Balm sounds so lovely! 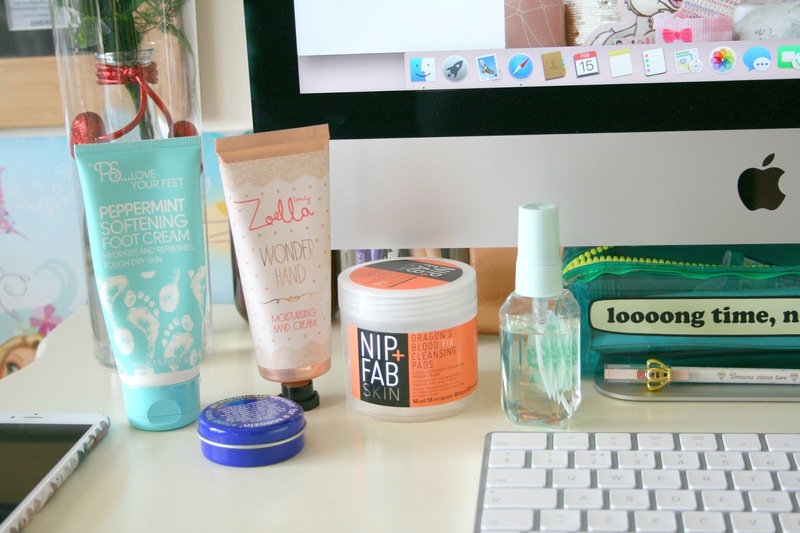 I love the Zoella hand cream it smells incredible doesn't it - lovely post with some lovely products! 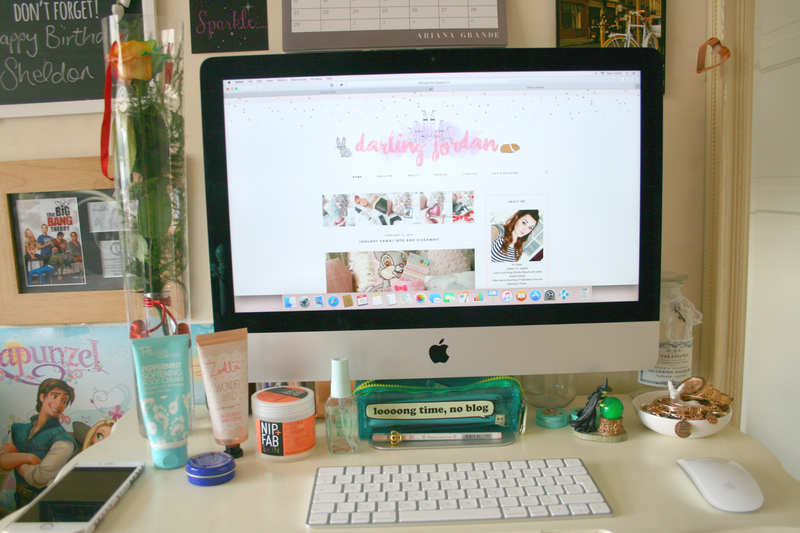 that zoella hand cream looks nice!